Opportunities are often short lived and at times a short session is all thats required. 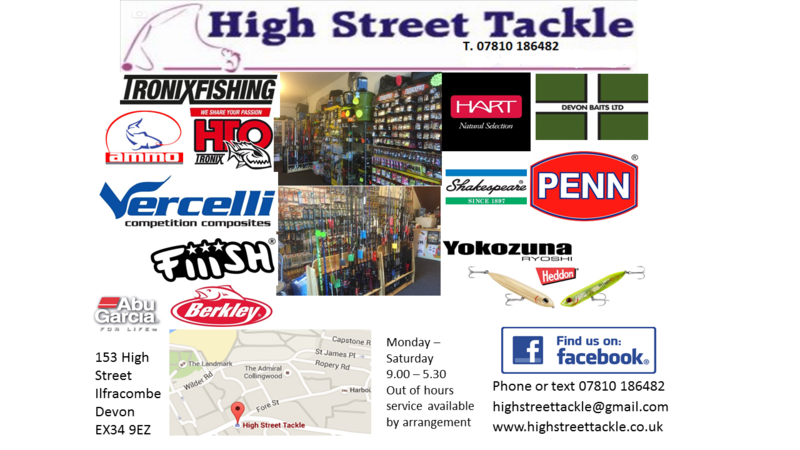 I joined Rob Scoines for short after work session hoping to get a couple of hours fishing over high water before the forecast rain and wind moved in. Arriving an hour before the top of the tide there was a slow surging ground swell that is often the precursor to an approaching storm. We cast out our baits and proceeded to catch the inevitable dogfish. 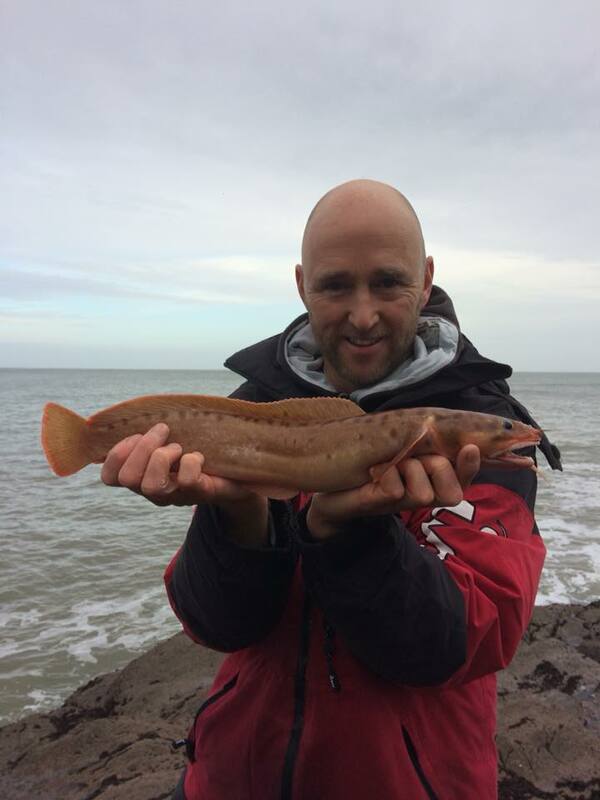 Rob dropped a squid and black lug bait close in and a rattle on the rod tip was rewarded with a fine rockling that pulled the scales to 1lb 10.5oz. As the tide began to ebb the wind started to increase and the unnerving swell surged ever stronger. As the rain started to fall it was a unanimous decision to call it a night. On retrieving I felt a weight on the end of the line and was pleased to swing in a dogfish attached to a rig I had lost earlier in the evening. Heavy rain beat against the car window as we drove home pleased to have grabbed a couple of hours on the shoreline. 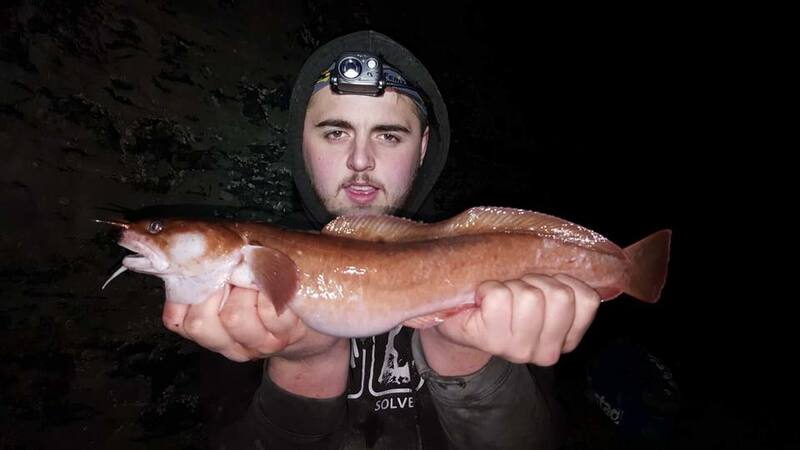 Combe Martin SAC member Kody Chugg landed this fine rockling of 1lb 10oz during a session at a North Devon Rock mark. Kody asked me to identify if the fish was a three bearded rockling or a shore rockling. 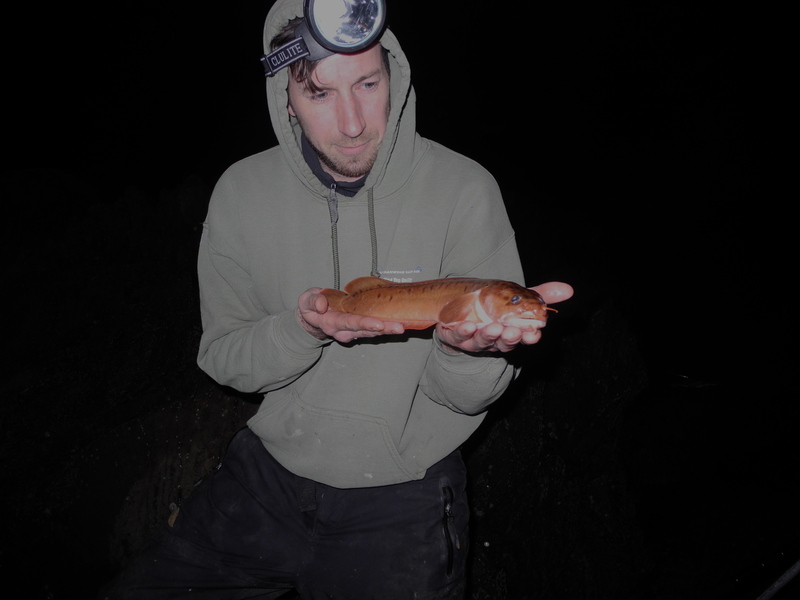 My immediate response was that it is a three bearded rockling based on the colour of the fish and its size that would be a potential British Record if it was a shore rockling. As another angler muted the possibility of it being a shore rockling I referred to Alwyne Wheelers excellent reference book’ Key to Fishes of Northern Europe. The key distinguishing points are number of rays on the pectoral fins, the 3 bearded having 20 to 22 and the shore rockling 15 to 17. Having tried to enlarge the picture of the fin I can only make out around 17 rays. The eye position points to it being a 3 bearded. As there is small element of doubt I have sought expert advice and will report on findings later. 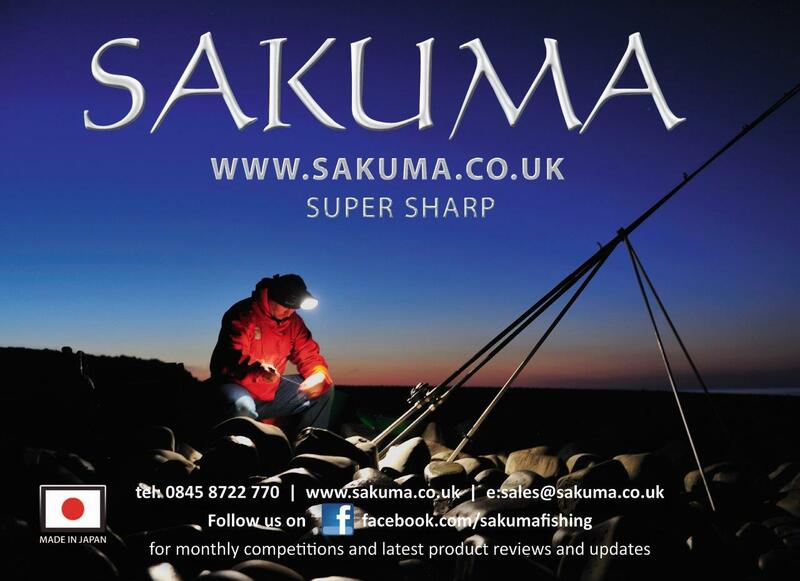 This highlights the need to take numerous close up pictures if there is any doubt about a species of fish caught. Kody also landed this bull huss on a recent trip. Stormy seas are bringing some variety along the coast with several big rockling amongst the catches. 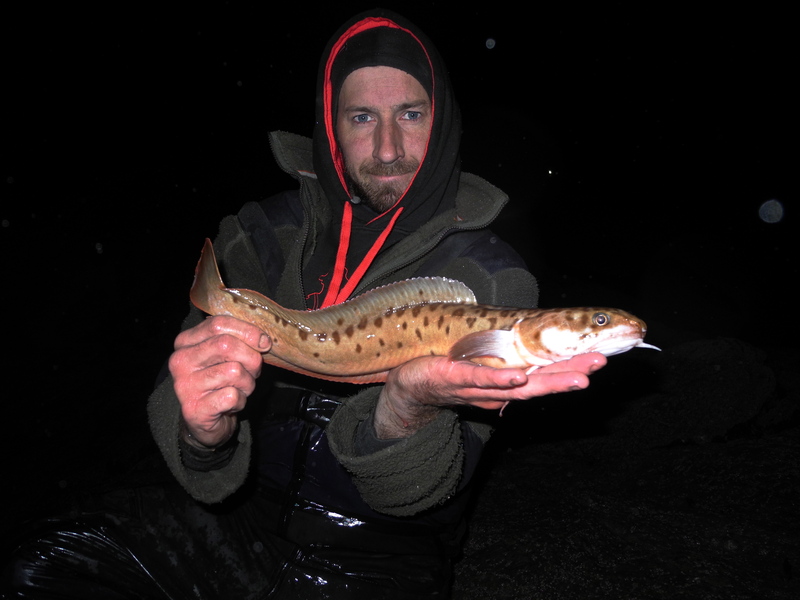 This one above was caught by Combe Martn SAC member Dan Welch and weighed 1lb 6oz. Ian laird also landed a nice rockling from a rock mark along with a bull huss. 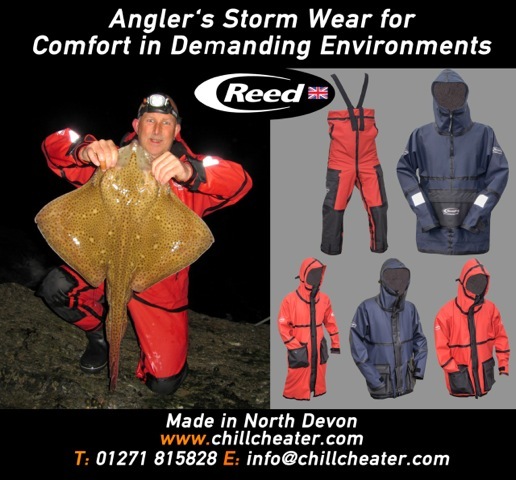 There is every chance that a lucky angler will hook into a big cod as these conditions are ideal for bringing these fish within casting range. 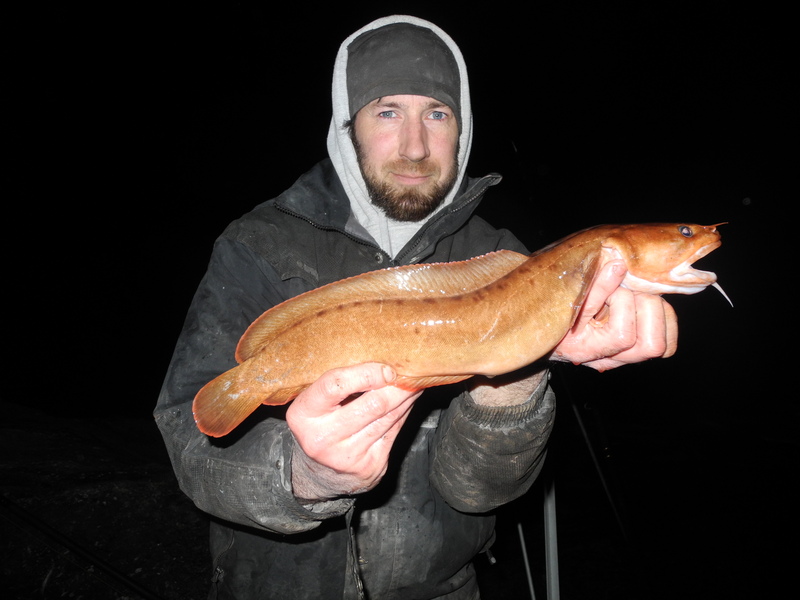 Dogfish and small conger are however dominating catches and tend to get to the bait before other more worth while species. 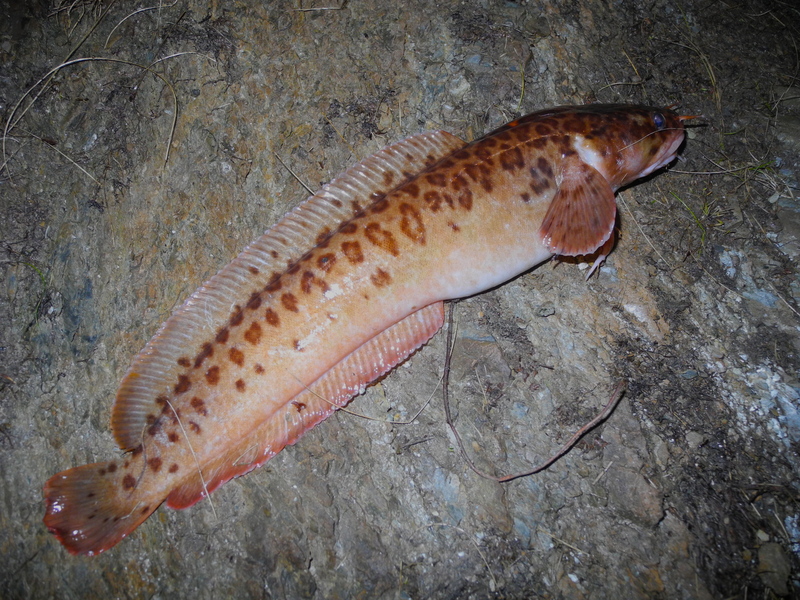 It is possible to reduce the capture of dogfish by using large worm baits or by using whole live-baits like pouting or whiting. 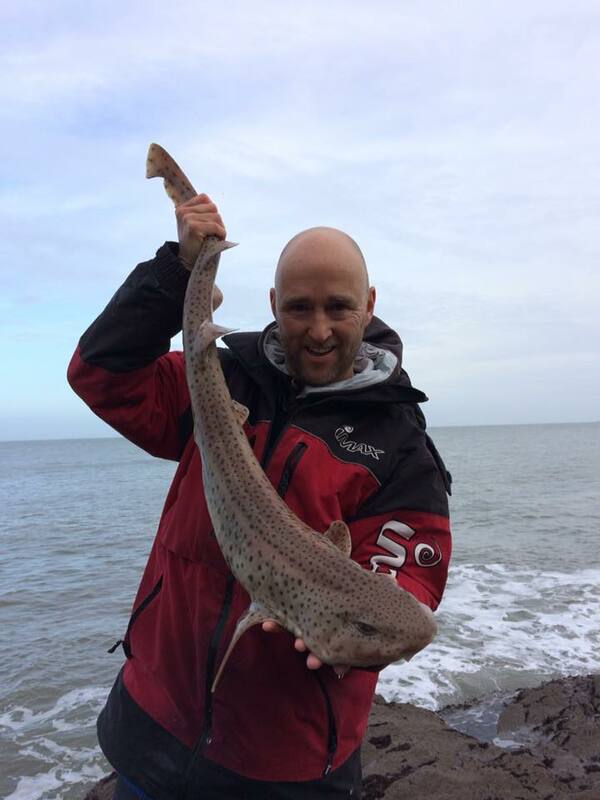 A short session on the rocks produced plenty of dogfish for Rob Scoines and myself. 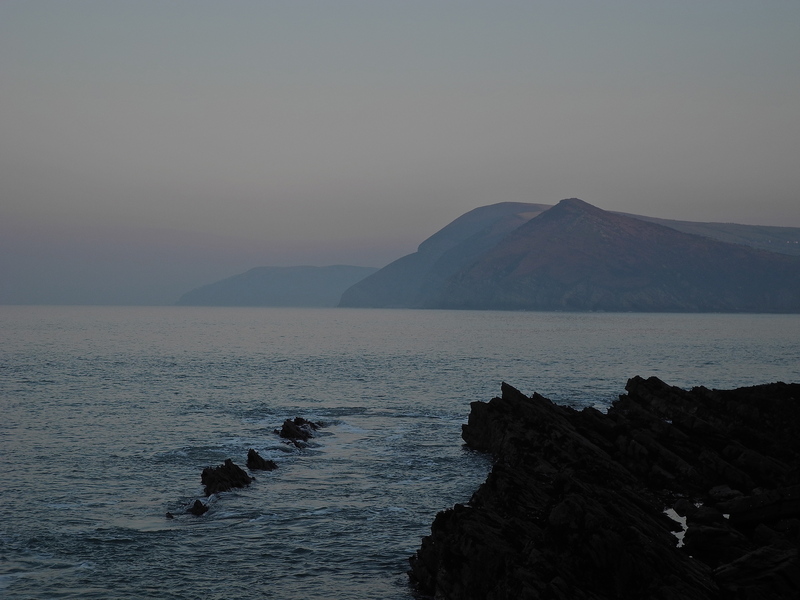 Conditions seemed perfect with the seas having settled nicely following the weekend storms. A pleasant surprise was this near specimen rockling of 1lb 9oz that fell to Rob along with pollock of a couple of pounds. There a bound to be a few spurdog and bull huss about but getting through the dogfish and small conger is as always a challenge. With sport dropping off on the coast there was a low turnout for this club event with just seven members fishing marks all along the coast. 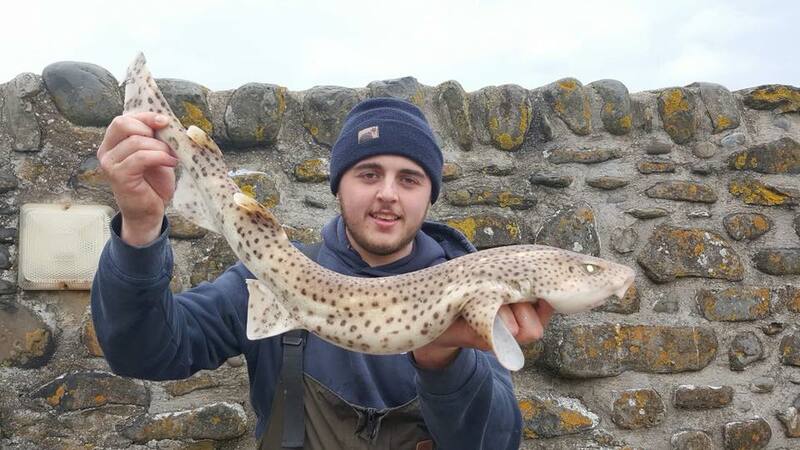 Bites were few and far between for some members with small conger and dogfish providing most sport. 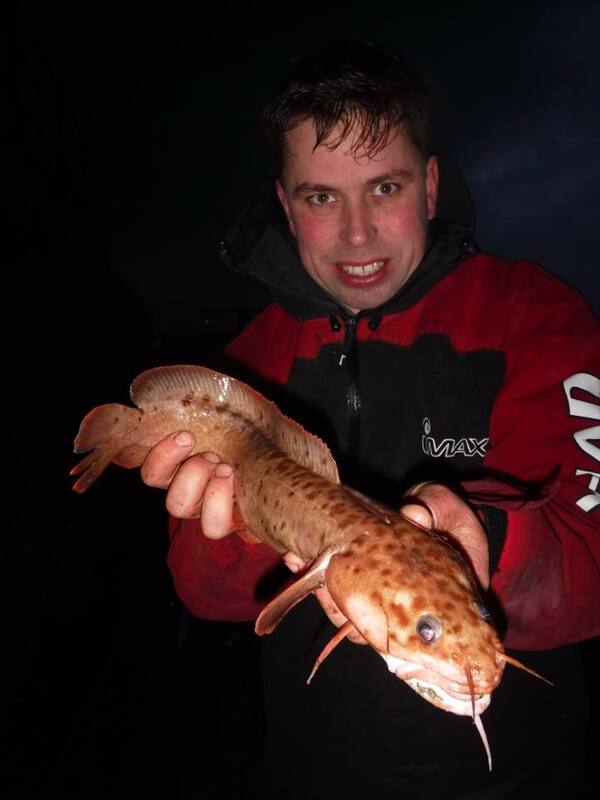 Rob Scoines fished small baits close in to successfully target rockling landing close to a dozen the best three weighing 1lb 2oz, 1lb 1oz and 15oz to take the top three places. 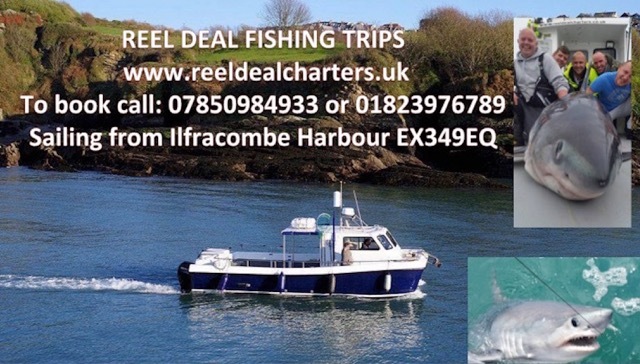 Graham Snow took the top two places in Combe Martin SAC’s Fish of the month competition with a fine thick-lipped mullet of 4lb 15oz and a thin-lipped mullet of 4lb 1oz. In third place was Kevin Legge with a bass scaling 9lb 2oz. 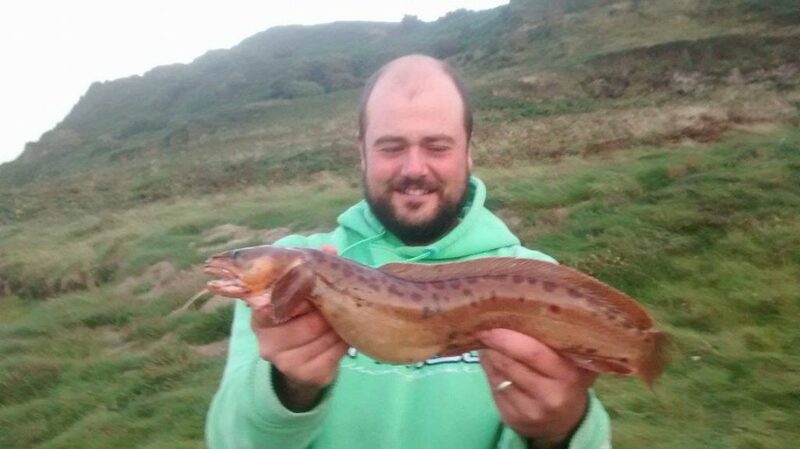 Club member Ross Stanway got August’s competition off to a good start landing a fine specimen rockling of 1lb 13.5oz.